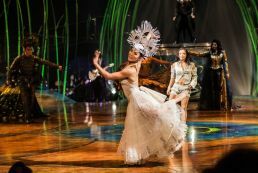 Cirque du Soleil will return to Australia from October this year with its most acclaimed touring show, KURIOS – Cabinet of Curiosities™. 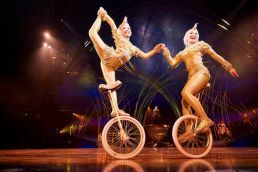 KURIOS will premiere under their Signature Big Top on 2 October 2019 in Sydney at Entertainment Quarter, Moore Park. 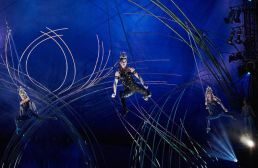 Tickets for Sydney, Brisbane and Melbourne are available for purchase to the general public beginning Monday 18 March at 9am by visiting cirquedusoleil.com/kurios or by calling 1800 036 685. 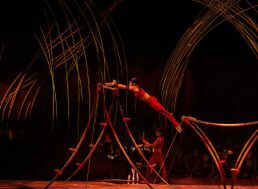 KURIOS – Cabinet of Curiosities had its world premiere in Montréal April 2014 and since its debut, the critics have been raving across North America: “It is not to be missed on any account,” said Chris Jones in The Chicago Tribune. In an alternate yet familiar past, in a place where wonders abound for those who trust their imagination, a Seeker discovers that in order to glimpse the marvels that lie just below the surface, we must first learn to close our eyes. In his larger-than-life curio cabinet, the Seeker is convinced that there exists a hidden world – a place where the craziest ideas and the grandest dreams await. A collection of otherworldly characters suddenly steps into his makeshift mechanical world. 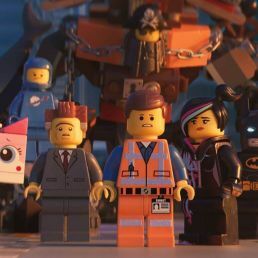 When the outlandish, benevolent characters turn his world upside down with a touch of poetry and humor, his curios jump to life one by one before his very eyes. 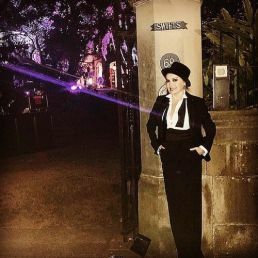 “Ever since my first visit to Australia nearly 15 years ago it has been one of my favourite places on earth. 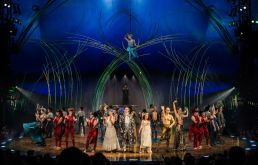 I am thrilled that I can return through the spirit of KURIOS and I hope it will inspire and bring joy to everyone who enters into our special realm of reality under our big top.” Michel Laprise, Director, KURIOS – Cabinet of Curiosities. 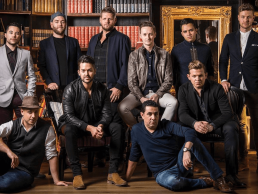 The original and still Australia’s best classical cross-over group, The Ten Tenors, are preparing to release a new album and a national tour. 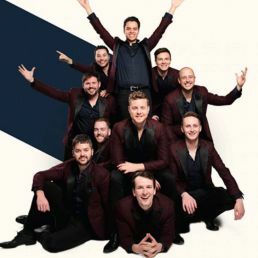 From mid-May, the talented tensome will charm their way around the country performing an irresistible selection of the best romantic pop songs, ballads and arias of all time. The Ten Tenors are an Australian success story of ten people who have become a global touring sensation. Their previous 2018 US tour sold out everywhere, which now takes them to an astonishing 2,400 sold out headline shows. 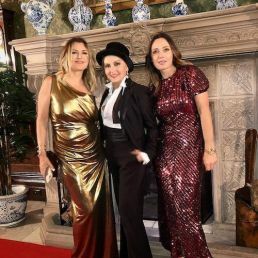 They have performed over 1,550 corporate galas, sold over 1.25 million albums and 2.75 million concert tickets. 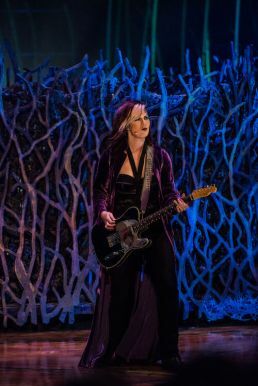 The Australian music ensemble have shared the stage with artists including Lionel Richie, Rod Stewart, Andrea Boccelli, Willie Nelson, Alanis Morissette and Christina Aguilera. 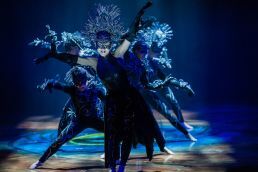 They have also appeared extensively on TV in the US, including Today Show, Oprah’s Australian Adventure, Access Hollywood, Hollywood Today Live and Extreme Makeover: Home Edition, as well as the Jerry Lewis MDA Telethon for an audience of 32 million viewers and the 2012 UEFA Cup in Warsaw, Poland to 65,000 people live. 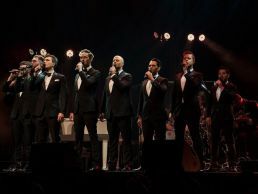 The Ten Tenors have attracted a vast Australian and international fan-base by performing a unique combination of classical & contemporary music featuring ten-part harmonies. 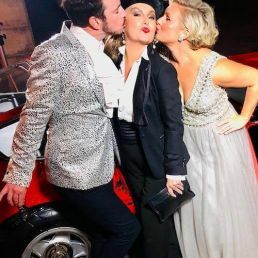 They have been widely acclaimed in the media, both in Australia and internationally, with critics praising their ability to “ignite hearts” (Brighton Argus) with their effortless charm and “magnificent vocals” (Belfast Live). Their romantic and timeless repertoire always finds a way to move their fans. The supergroup came together in 1995 and have released fifteen studio albums to date. They are set to release their new material in late April, with a brand-new single going to radio soon. The new album Love Is in The Air came from an idea based around songs that people might choose as their wedding first dance song (as two members from the group prepare to plan their respective upcoming weddings). Deciding to go with Love Is in the Air as the title track was an obvious choice given it’s such a cheerful title that will make people feel happy when they see it and when they hear it. 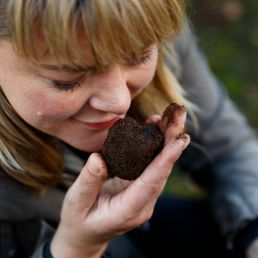 Truffle Kerfuffle 21-23 June, 2019 in W.A. 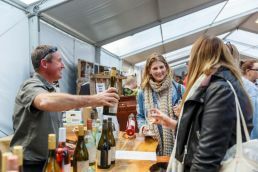 Put June 21-23 in your diaries and book yourself a long weekend in Manjimup, a magical patch in Western Australia’s South West. 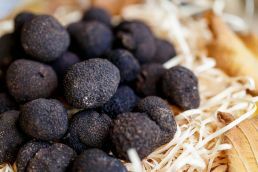 Truffle Kerfuffle is a weekend-long celebration of truffle season at the heart of Australian truffle country. 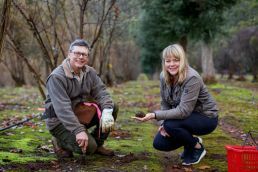 Join truffle hunters and their clever canines to search out prized truffles, visit the Marketplace for a taste of the region or get your truffle fix at special dining events. 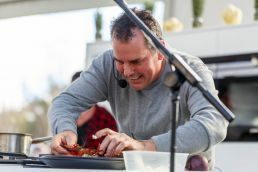 Indulge in fireside cooking sessions in the Chef’s Cabin, watch free demonstrations and entertainment on the festival grounds, discover the farmers, producers, winemakers and community that make up the Southern Forests, or simply soak up the laid back country atmosphere. 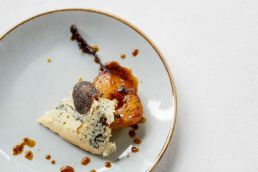 From its initial beginnings in 2011, Truffle Kerfuffle (a not for profit community event) has grown into a highlight of the Australian tourism calendar and is on the to-do list of many a traveller and gourmand. 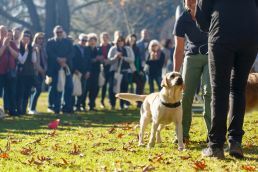 The planning for this year’s program is well underway and tickets and accommodation packages will be released soon. 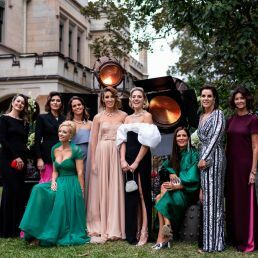 More than 300 invited guests gathered to raise over one million for the 2019 Silver Party, an annual event raising funds for the Sydney Children’s Hospital, Randwick. 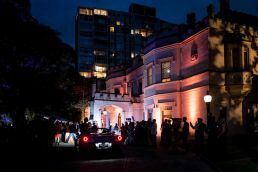 The black-tie event was held at ‘Swifts’, the grand private residence in Darling Point made available thanks to the generosity of owners Shane and Penny Moran. 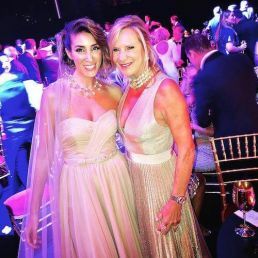 The ‘Hollywood Silver Screen’ theme was brought to life by Australia’s event gurus, Rizer who transformed the iconic to evoke the Hollywood glamour of the days gone by. 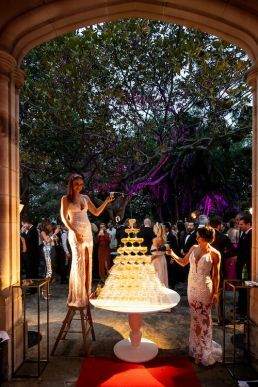 With a guest list comprising the who’s who of Sydney, the 2019 Silver Party raised just over one million on the night. 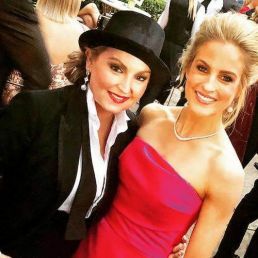 This has brought the funds raised by Silver to over $7 million which has assisted in funding critical areas in the Hospital including medical genetics, the Emergency Department and specialist surgeons. 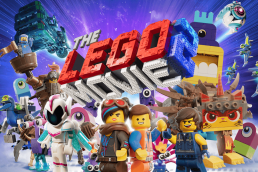 This year the money raised will support the Kids Cancer Centre at the Sydney Children’s Hospital, Randwick. The Kids Cancer Centre is the only centre in Australia dedicated to researching and treating childhood cancer under one roof, acting as a bridge between science and care. 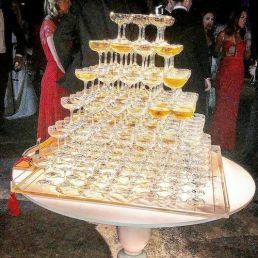 This year Silver welcomed longstanding partners Moët & Chandon along with Rockpool Group steed by Neil Perry. 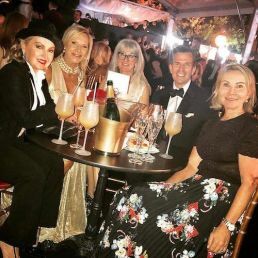 Other generous supporters included Abercrombie & Kent, Dior, Paspaley, Christian Louboutin, Burberry, Amilla Fushi and Ferrari who donated a number of luxury prizes from safaris and shopping experiences to an island getaway and the ultimate luxury driving adventure. 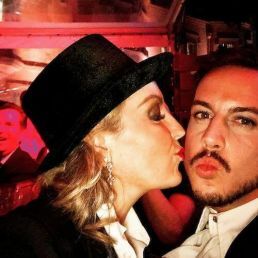 The inimitable Justin Miller auctioned items including a day on the harbor for 14 guests on luxury motor yacht ‘Illusion’ which raised $21,000, an Abercrombie & Kent ‘Kenya Under Canvas’ safari for 9 nights which raised $18,000. 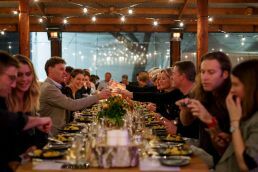 A private dinner for 12 hosted by Guillaume Brahimi which raised $42,000, a money can’t buy experience to visit the Ferrari Factory in Maranello raising $23,000. 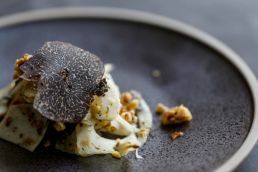 A luxury getaway for five nights to Amilla Fushi raised $21,000 along with a Los Angeles experience including return Business class tickets with Virgin Australia and a 3 night stay at the world-renowned Beverly Hills Hotel which raised $28,000. Guests who sipped on Moët & Chandon and joined the enjoyed the silver fun included, Shane & Penny Moran, Amber Symond, Justin Hemmes, Alina Barlow, John & Marly Boyd, Lionel & Lisa Lee, Nicky Oatley, Tom & Hoda Waterhouse, Terry Biviano & Anthony Minichello, Richard Wilkinson, Alyce Tran, Camille Freeman-Topper, Christine Salter, Deborah Symond O’Neil, Nadia Fairfax, Blainey North, Chris & Tracey-Ann Oxley, Karin Upton Baker & Grant Schaffer.